Imago Dei Middle School was founded in 2005 by The Rev. Susan Anderson-Smith and The Rev. Anne Sawyer to address inequality of educational and life opportunities for low-income children in Tucson. An inspired founding Board of Directors shared their vision and helped them make their dreams a reality. Imago Dei opened in the parish hall of a small Armory Park parish, St. Andrew’s Episcopal Church, in the fall of 2006 with a grand total of five students. Since then the school has grown exponentially, moved twice, and seen many milestones: First graduating class, first cohort of alumni to graduate high school, first cohort of alumni accepted to post-secondary institutions, first alumna to graduate from a four-year college. 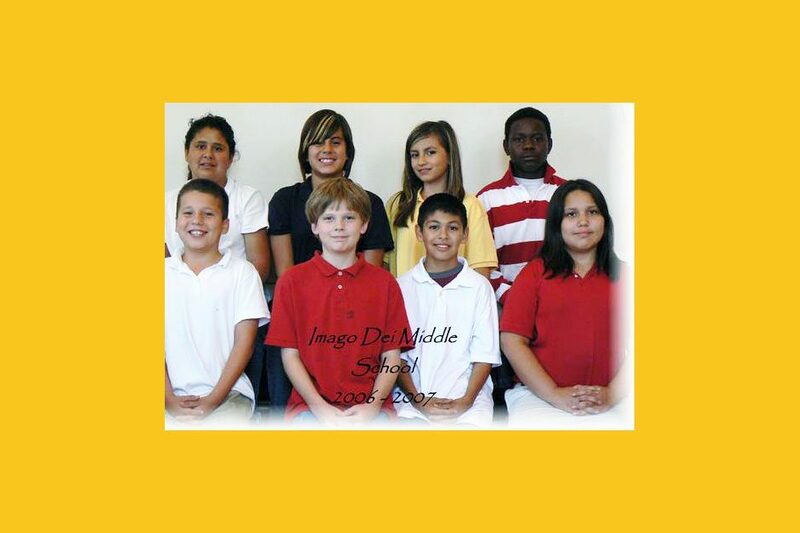 Today, Imago Dei serves more than 70 students, ages 10-14, and more than 140 alumni. Imago Dei owes its existence to the generous support of the community – to the families, individual donors, foundations, and community partners who believe in the school’s mission and make its work possible. Thanks are also owed to the amazing faculty and staff who change lives and build community at Imago Dei every day.